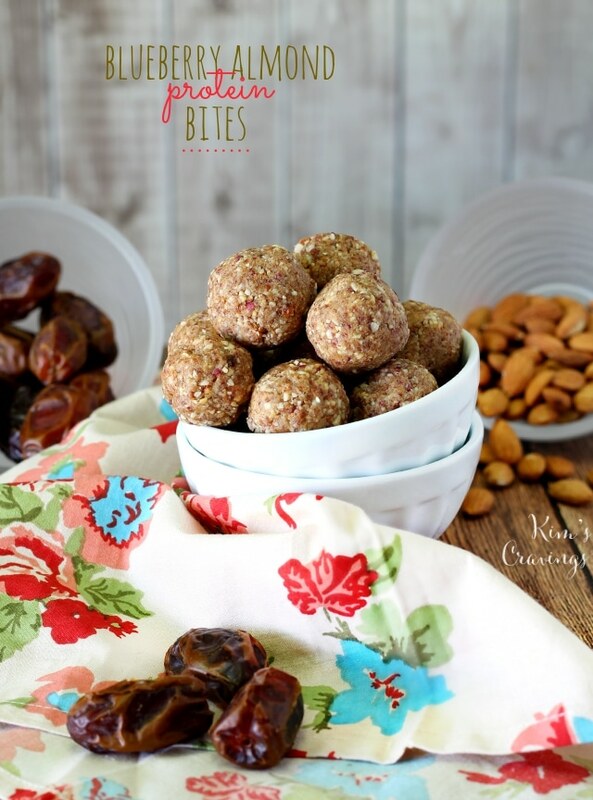 These Blueberry Almond Protein Bites are incredibly tasty and the most perfect healthier sweet treat, thanks to the fun blueberry flavored blueberry almonds. 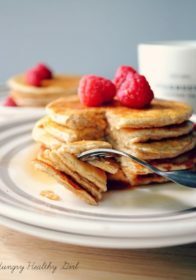 My kiddos loved them, my husband devoured them and I couldn’t keep my fingers out of the batter! 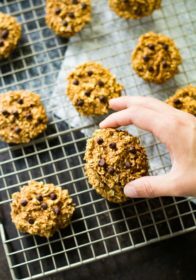 As the dreaded back-to-school time nears closer, I’m focused on coming up with easy, portable, nutritious snacks that are kid-friendly. 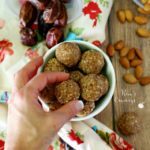 Only four ingredients of no baked goodness, these Blueberry Almond Protein Bites will be a snack that I will make again and again. 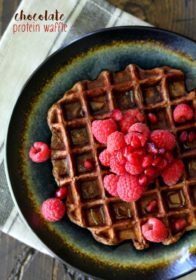 With plenty of protein, healthy fats and natural sugars the kiddos can keep their thinking caps on and plugging away and we can fuel up pre or post-workout. 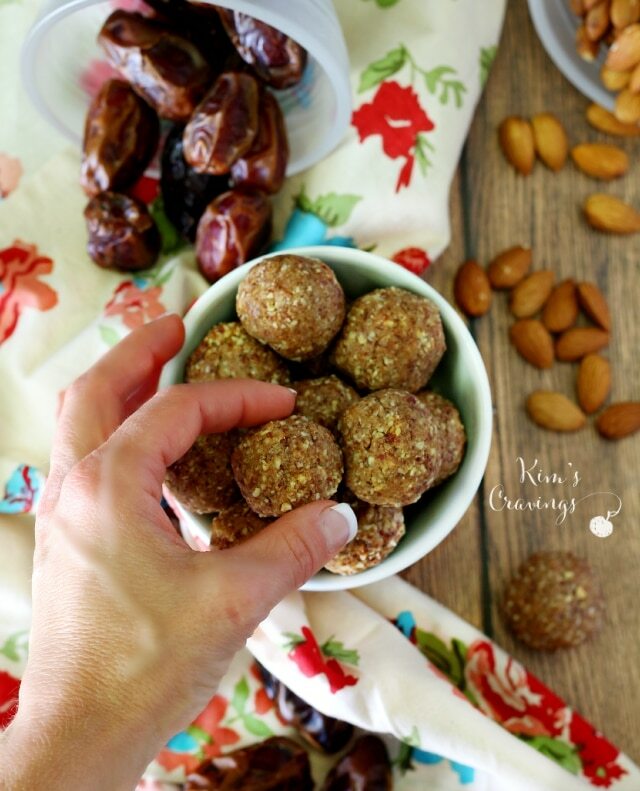 The nuts and dates will give you plenty of energy and the protein powder gives these babies same major staying power! 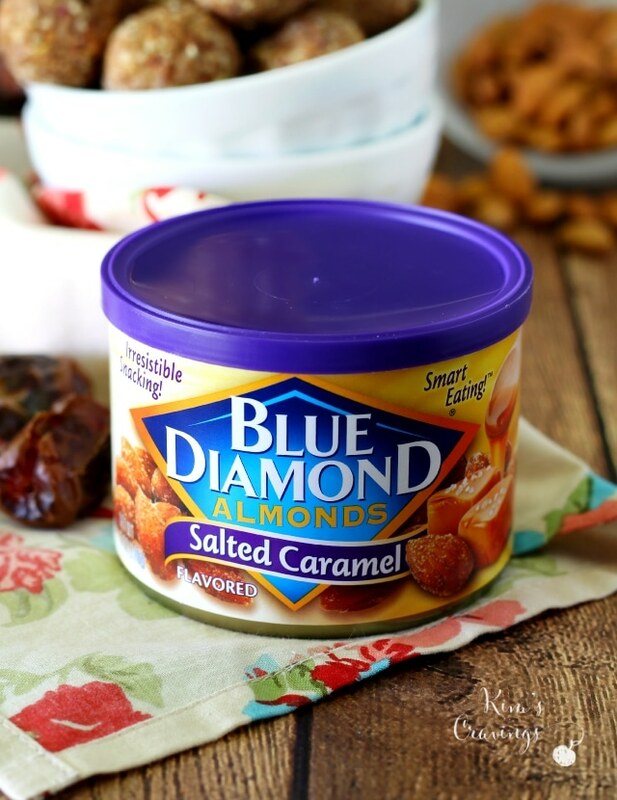 Blue Diamond Almonds are perfect for creating a myriad of different flavored protein bites. 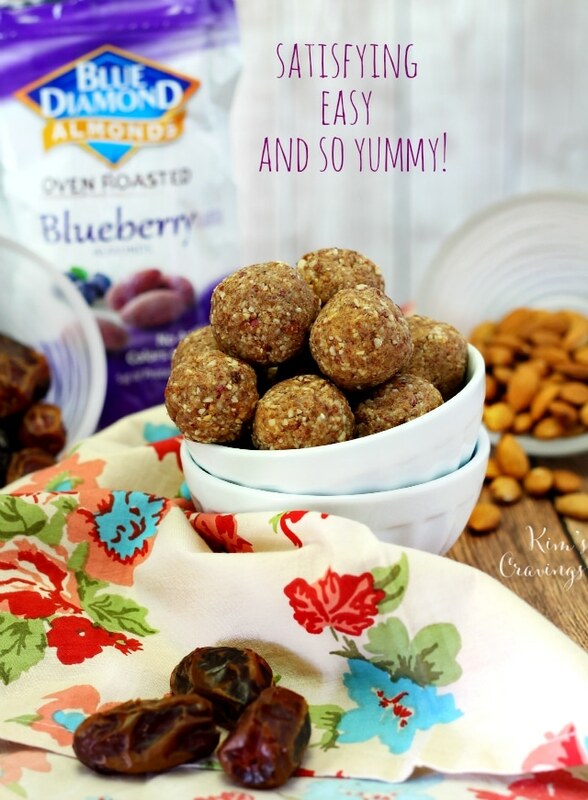 The oven roasted blueberry almonds are one of my favorite varieties, but I can’t wait to try different flavors. Next up, the toasted coconut or can you even imagine the deliciousness of Sea Salted Caramel?!?! 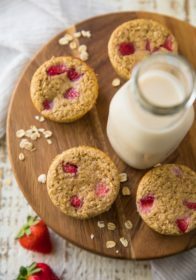 These Blueberry Almond Protein Bites are incredibly tasty and the most perfect healthier sweet treat, thanks to the fun blueberry flavored blueberry almonds. Place dates in the food processor and process until they have broken up and come together into a ball. 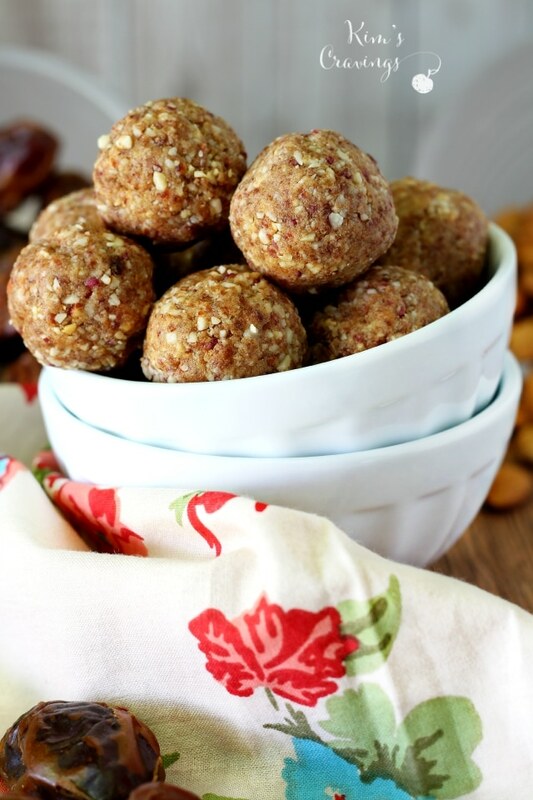 Break up date ball with hands and add in almonds and protein powder. Process for about a minute, scrapping down the sides as needed. Process until mixture becomes packed together. If it doesn't do this, add in 1 more tablespoon of almond milk. Roll mixture into about 27 balls, by pressing it together with your fingers and shaping into a sphere shape.  Store in an airtight container in the fridge for several weeks. 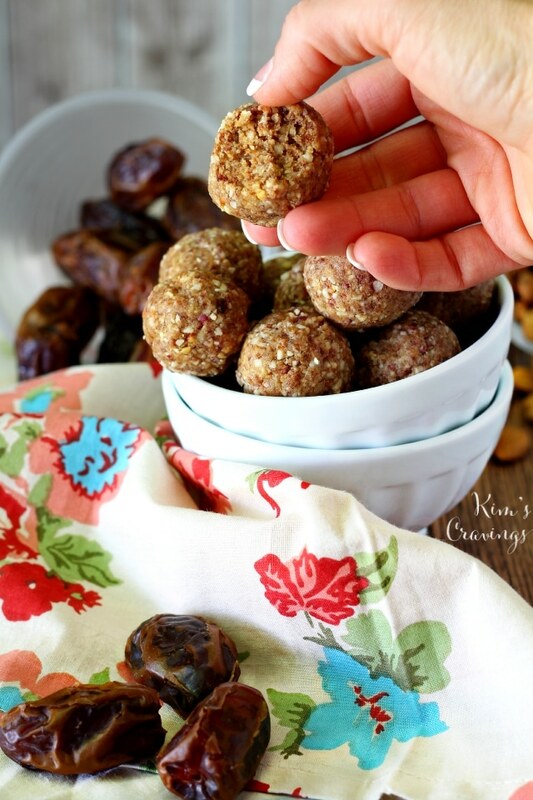 My dates were very sticky and soft, but if your dates are older and dried out, soak them in hot water for about 20 minutes and then drain before using. Have you jumped on the energy ball bandwagon? P.S. 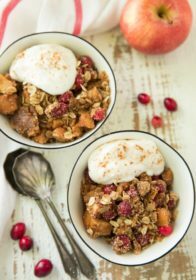 My Cuisinart Food Processor makes whipping these up a cinch and it’s on sale now! There are a few affiliate links in this post. If you purchase a product after clicking an affiliate link, I receive a small percentage of the sale for referring you, at no extra cost to you. Purchasing through affiliate links is an easy, painless way to help out your favorite bloggers… and help me pay my grocery bill! 😉 Thank you so much for your support! They are and my son actually liked them! Can’t wait to make these. I wonder, though, about what’s in the flavored almonds. What about using plain almonds and maybe dried blueberries or cherries (no sugar). And, if my protein powder isn’t vanilla, do you think I should add a bit of vanilla extract to the recipe?